pros start with the basics. As you can see, it’s less than a 50/50 shot of the dealer busting. To be exact, the dealer has just over a 42% chance of busting. Keep in mind, that’s with a 6 showing! If you have a weak hand such as a 12-16, you stand against a dealer’s 6 in hopes that he’ll bust. Unfortunately that’s probably not going to happen for you. Now let’s have a look at how card counting could help you take advantage of changing probabilities. If you’re counting accurately you will know when the deck is rich in high cards. 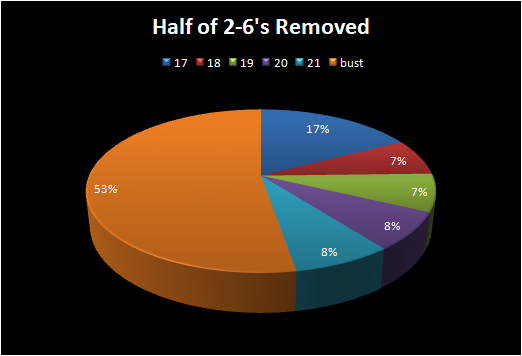 Let’s make a rough example by looking at a double deck game with half of the 2-6’s removed. Now what are the odds of a dealer busting when showing a 6? So now you have a better than 50/50 shot of getting the dealer to bust. 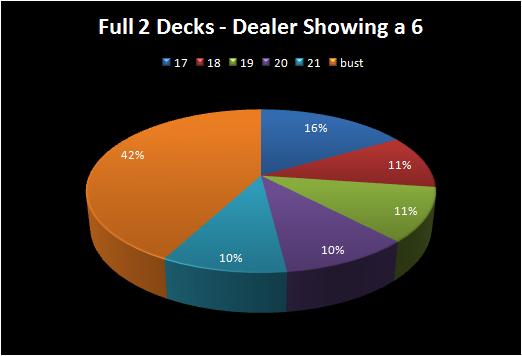 Not only are you a little safer standing on a 12-16, but doubles and splits are looking extra lucrative against a dealer’s 6. To be fair let’s have a look at the opposite situation. 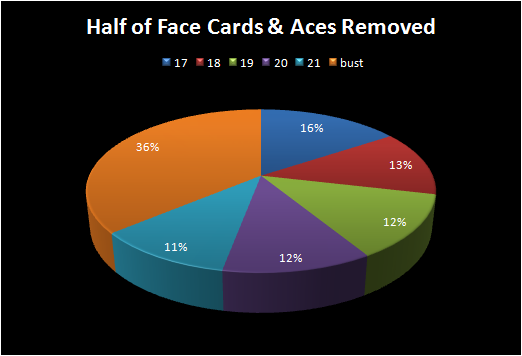 What does it look like if you remove half the face cards and half the aces from a double deck game? The odds of the dealer busting a 6 are pretty low here. Just imagine how small the chances are of busting a 2 or 3! So what’s the moral to the story? You can’t just sit back and expect the dealer to bust for you. Odds are that the dealer’s going to pull a hand even when showing a 6. However, good blackjack players will know when the dealer is more likely to bust and will increase their bets accordingly. Along with adjusting your bets, you should be adjusting how you play some of your hands to fully maximize your edge over the house. Play a level above the rest. How did Vegas Become America’s Gambling Capital? Copyright © 2017 Blackjack Classroom. All rights reserved. Terms and Conditions.